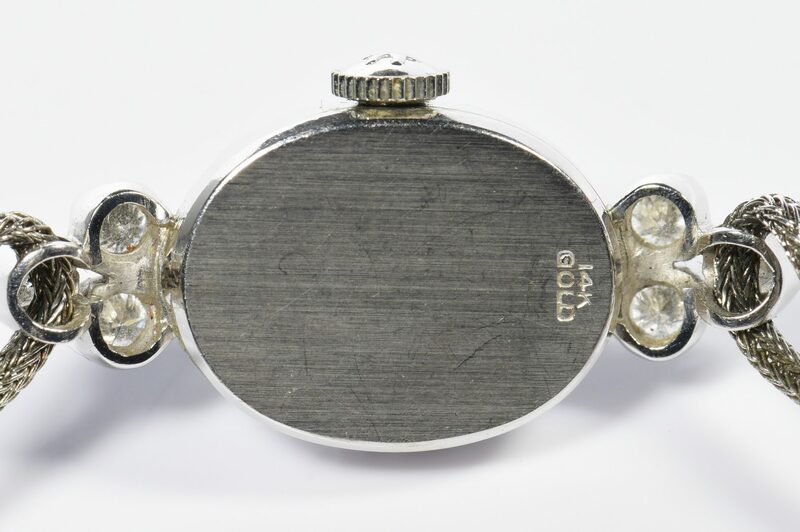 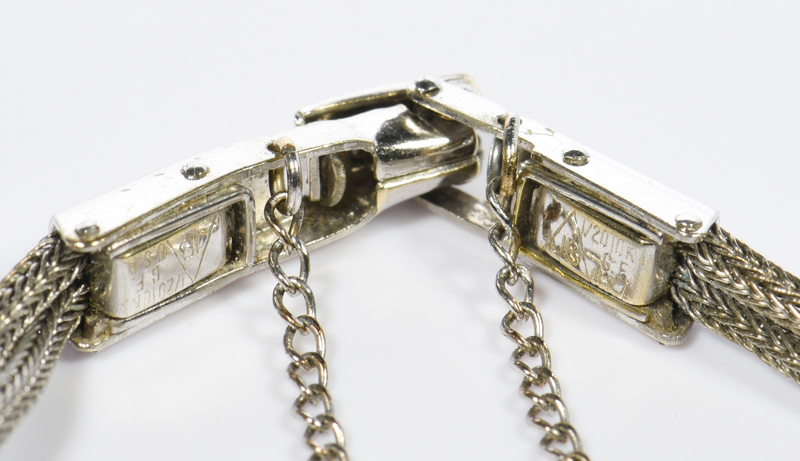 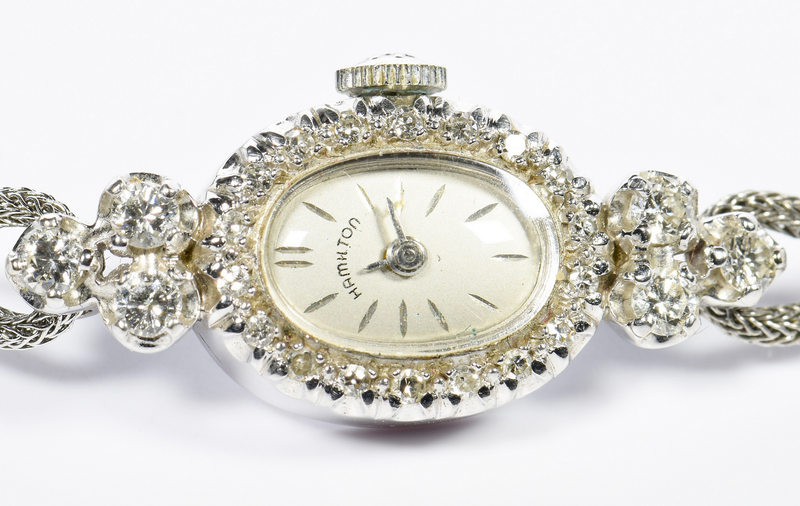 1st item: 14K white gold ladies Hamilton diamond watch face on gold-filled strap, diamond face containing 24 round cut diamonds with a total weight of approximately .96 ct. Face – 1 3/8" L x 5/8" W. 11.7 grams including strap. 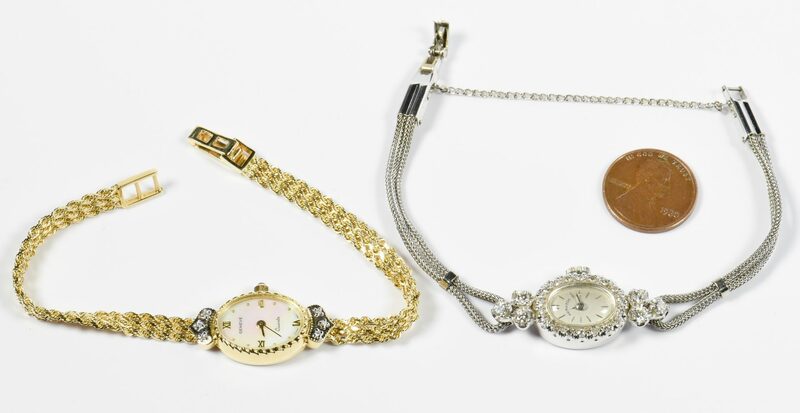 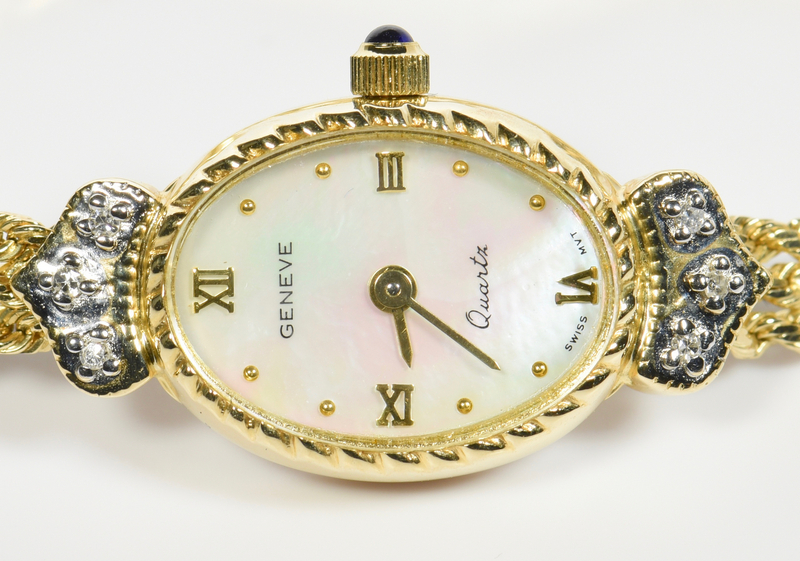 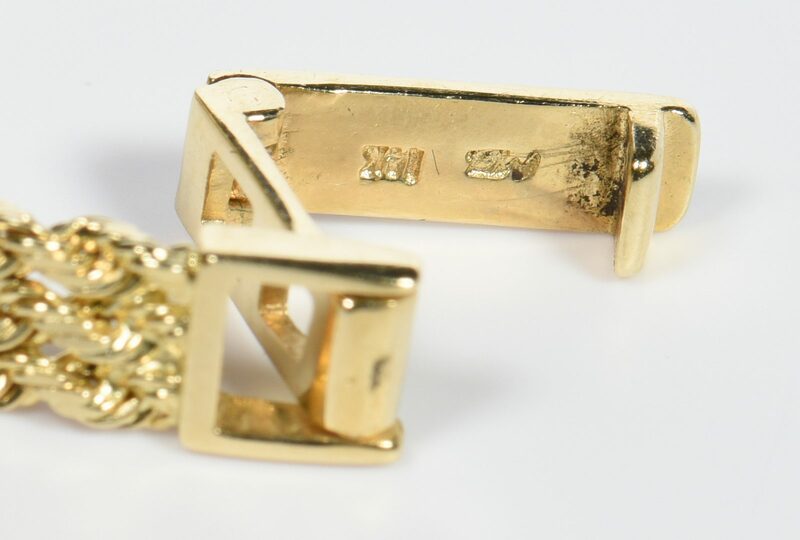 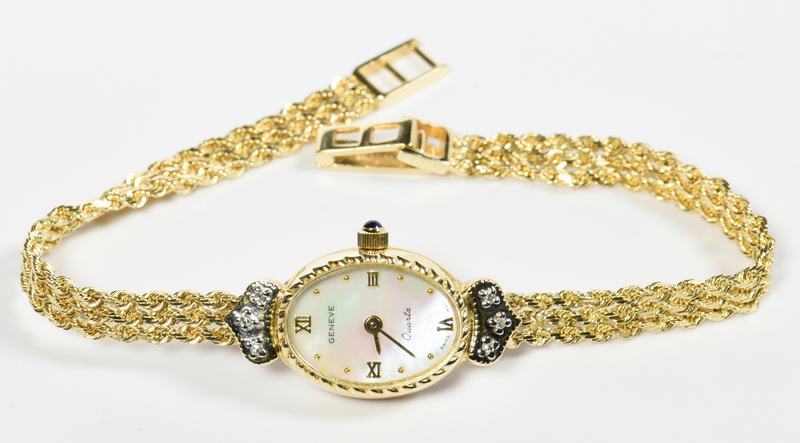 2nd item: 14K yellow gold Geneve quartz diamond bracelet watch, oval mother-of-pearl face framed by 6 single cut diamonds, gold rope bracelet strap, 7 1/8" L x 1/2" W. 13.6 grams. 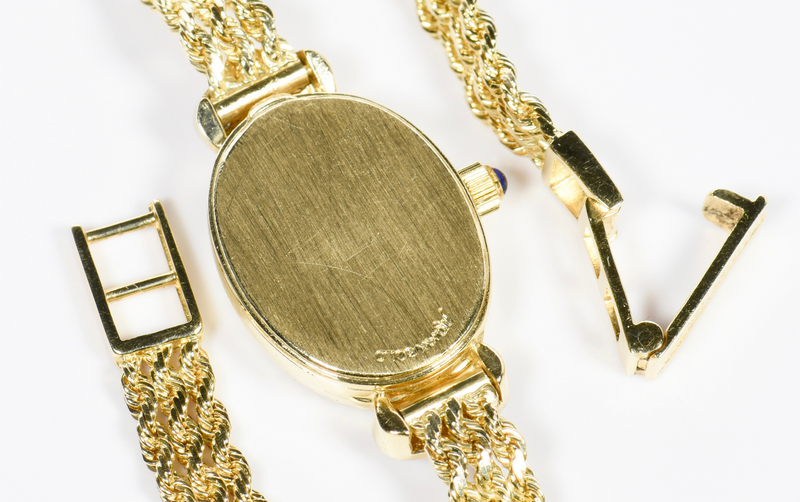 CONDITION: Neither watch working at time of inspection.